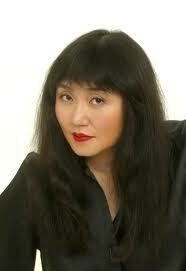 When pianist Wu Han arrived in the U.S. from Taipei, in 1981, she spoke not a word of English. Today, she is the modern model of the American success story, equal parts impresaria, scholar, performer, teacher, cheer leader, and recording producer. CMS’s reported 50 percent increase in ticket sales over the last five years is attributable not only to sold-out houses at its home base of Alice Tully Hall, but also to the Society’s vastly expanded activities, both Stateside and abroad: weeklong residencies, tours, master classes, vocal recitals, late-night night café-style concerts, new-music concerts streamed live (CMS has commissioned 31 new works), a download-only recording series, and 26 weeks’ worth of radio programs. As Wu Han has been busy turning CMS’s fortunes around, she has also maintained a busy teaching, performing, and recording schedule. In 1997, before anyone had even thought about downloading as an appropriate format for classical music, she and Finckel boldly launched ArtistLed, the genre’s first internet based recording company, “led” by and for artists only. Han is involved in every aspect of the enterprise, from choosing repertoire and overseeing sessions to presiding over the final mix. She also cofounded in 2003 Music@Menlo, an annual three-week chamber music festival and teaching institute now coming up on its 13th season in the San Francisco Bay area. There is even a Music@MenloLIVE recording series. And if the two are not exhausted enough after three weeks in California, since 2013, they have spent another three weeks in residence at the Saratoga Festival. As both personality and artist, Wu Han seems to light a fire wherever she goes; she is a self-confessed risk-taker, a passionate, committed artist too busy making a difference to ever take credit.